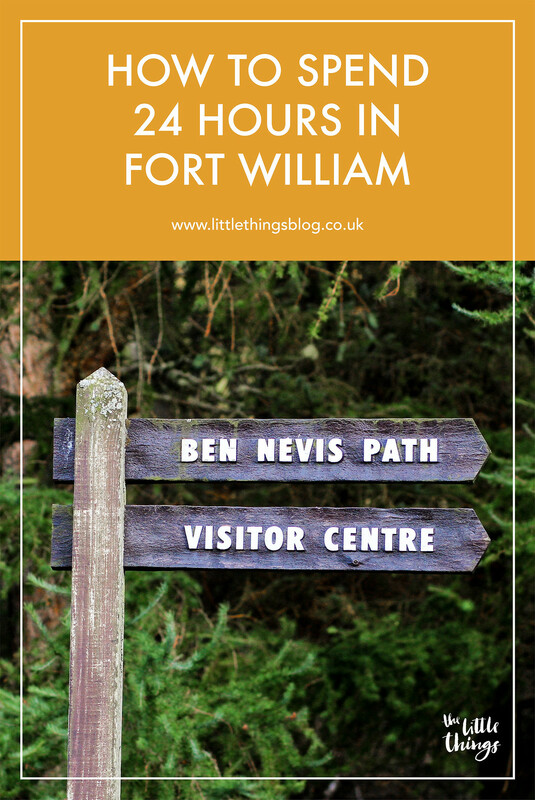 The first stop along our North Coast 500 journey was Fort William. 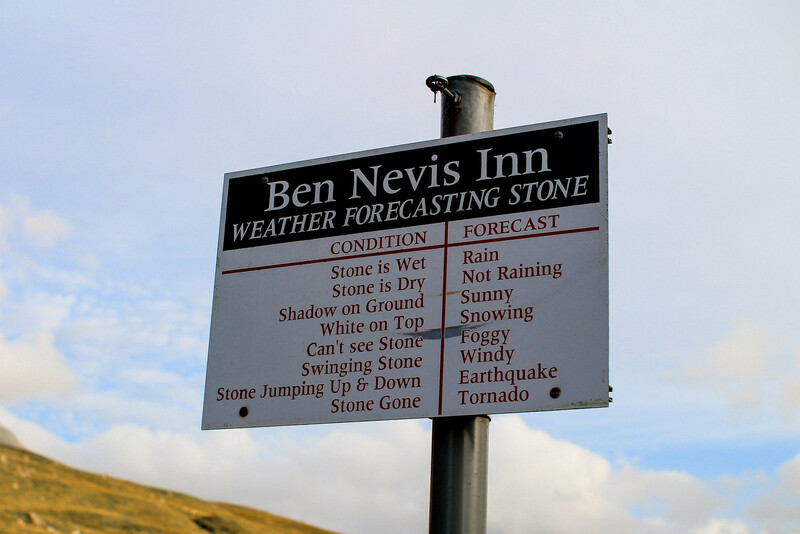 The immediate tourist attraction that comes to mind is of course, the UK's tallest mountain - Ben Nevis. But there's more to this small town than it's rather large mountain. 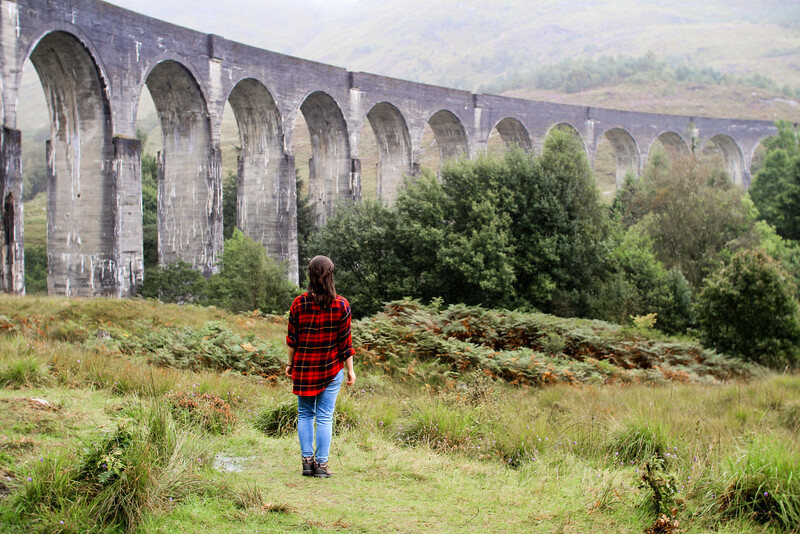 Everything from some of the finest Scotch whisky, mountain biking, riding the train to Hogwarts, and of course, taking in those breathtaking views. Classed as the 'Outdoor Capital of the UK' it's no surprise that if you're ready for an adventure, there's something for you in Fort William. If you're looking for castles, then Scotland is the place for you. With a castle or castle ruin in almost every town and city, it's no surprise there's one here in Fort William too. Old Inverlochy Castle dates back to the 13th century and played a part in Scottish and English history during the Civil Wars of the 1640’s. Although it's now a ruin, it's an interesting spot to explore and walk in the path of it's history. 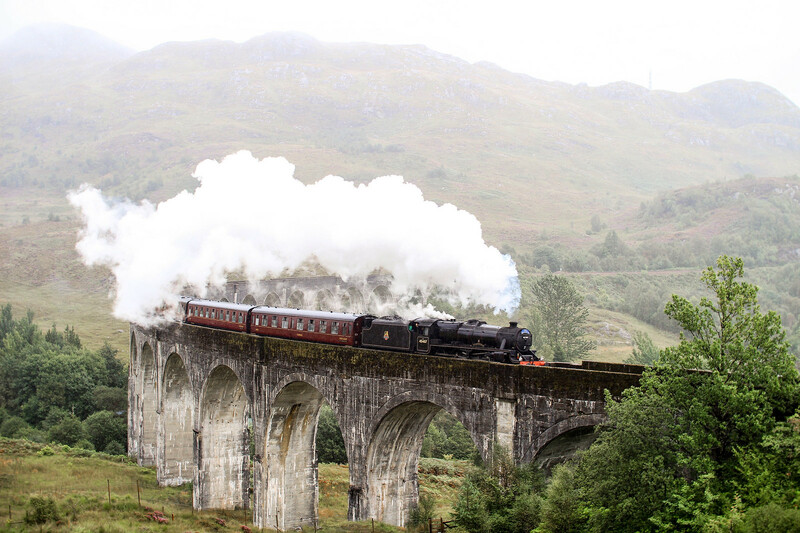 For Harry Potter fans and steam train enthusiasts alike, the Jacobite Steam train is one of the worlds most beautiful journeys. 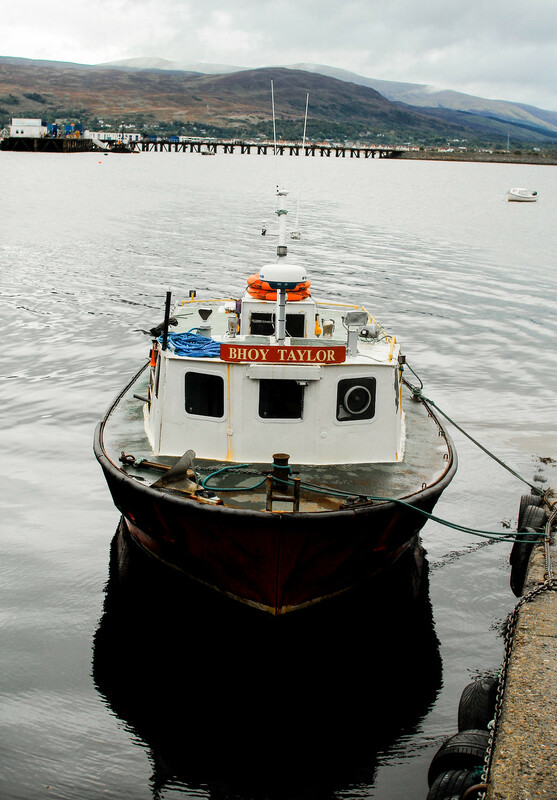 Set in the hills of Fort William, running to Mallaig alongside the views of Ben Nevis. 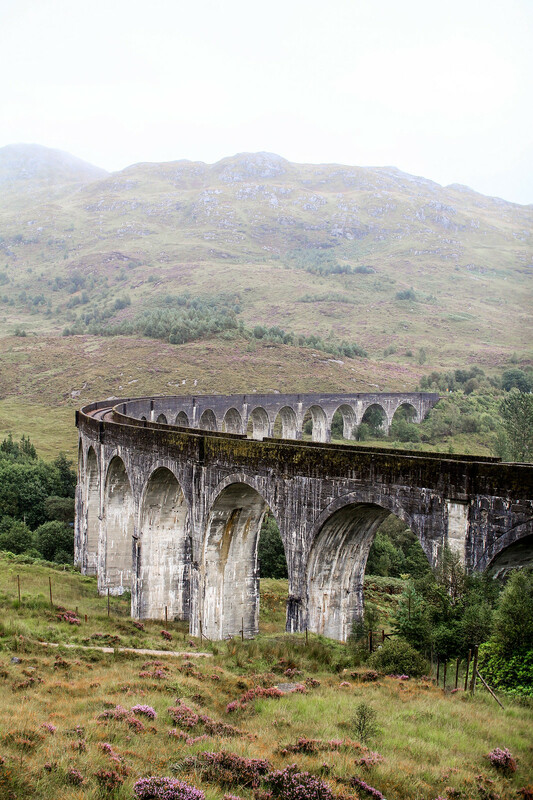 It crosses the famous Glenfinnan Viaduct, made popular by the Harry Potter films, it overlooks Loch Shiel and the Jacobite monument. If you have the time, it's well worth taking part in the 84 mile round trip by train from Glasgow to enjoy the views. You can book this on the West Coast Railways website. If you're just looking to watch it roll by, be sure to check train times from Fort William for the time of year. Head towards the Glenfinnan Viaduct, here there's a National Trust visitors centre where you can park. There are two different viewpoint options. For the same view as the films, head past the car park over the bridge and to the right, and hike up the woodlands. It's a short walk up to the top, but you can stand under the viaduct itself and get some amazing views. Be sure to get there early to get the best spot on the hill, it gets busy! 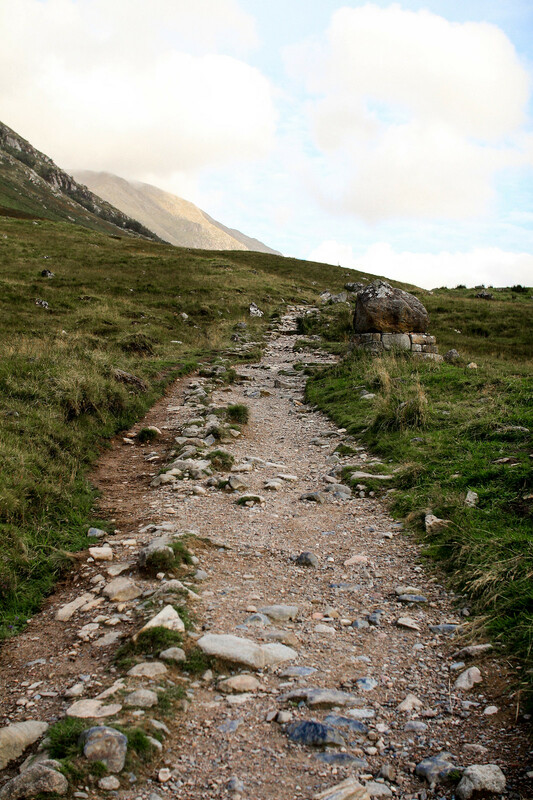 Ideal for someone who enjoys a walk, but not a strenuous hike, this low-level walk in Glen Nevis to the Steall Waterfall is perfect for an adventure. Surrounded by fields of wild flowers, rolling hills and cascading streams, it's the perfect place to escape for a few hours. For a shorter walk, begin at the Lower Falls carpark. If you only have a couple of hours, then you can park at the head of the Glen, near the entrance to the gorge. Whether you set out to hike up the top, or just want to wander the woodlands below - Ben Nevis is the main focal point of Fort William. Be sure to allow plenty of time, and check conditions online before you set out on foot. Proper walking boots are a must and you'll want your camera for the views! If you're not that into hiking like me, take in the view from below at the Ben Nevis Inn over a pint of local craft beer. It's no secret that whisky distilleries are big business in Scotland. With some of the worlds finest whiskies, you'll find a distillery in almost every town and city. Fort William is no different, with a stop at the Ben Nevis distillery, surrounded by mountain views, enjoy a wee dram like no other. 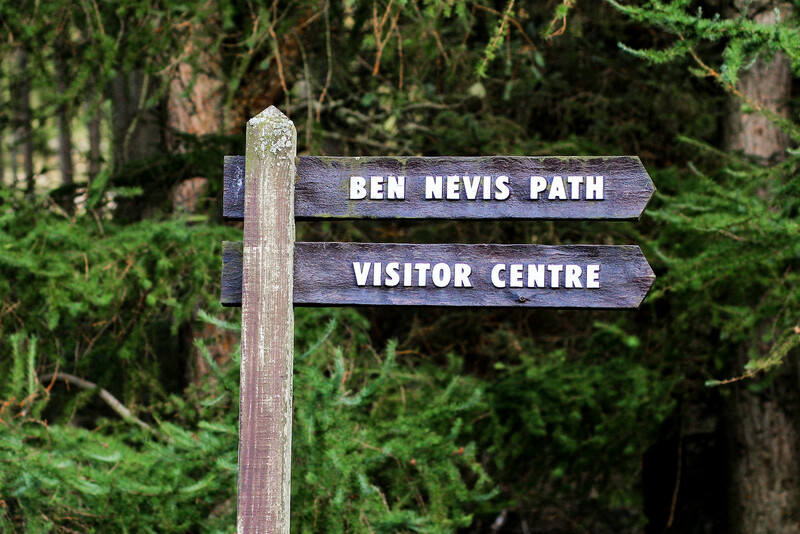 Establised in 1825, Ben Nevis Distillery is one of the oldest licensed distilleries in Scotland. On your way out of town you'll find the Commando Memorial. Dedicated to the men of the original British Commando Forces raised during World War II, it's an interesting memorial which provides an insight to the history behind it. There's also several places to park up and enjoy the views of the rolling hills in front of you. Perfect for a picnic before you move on for your days exploring. There are several hotels and B&B's around town, so there's no shortage of places to stay. However it's easy to sete how busy Fort William can get, especially along the NC500 route. Be sure to book your accommodation in advance to get the best deals and ensure you're not missing out on your stay. We stopped at the Treetops B&B right in the heart of the town with stunning scenery. 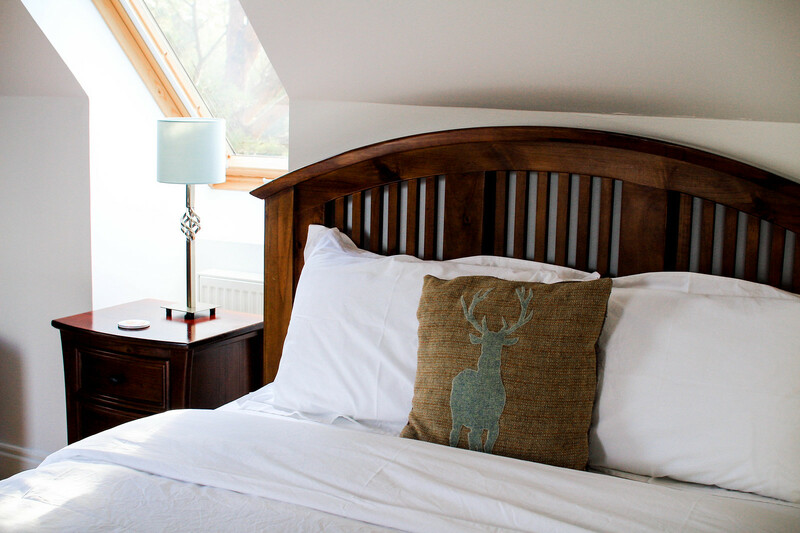 The hosts were more than welcoming and the room was just beautiful, with your own private balcony overlooking Ben Nevis. What's more to love? 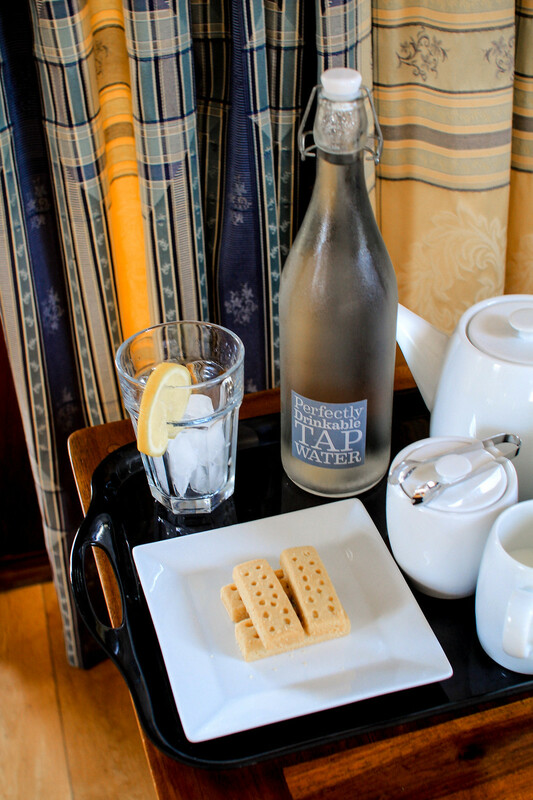 After a busy days exploring, there's nothing better than putting your feet up in a cosy countryside pub enjoying the finest locally sourced catch of the day. 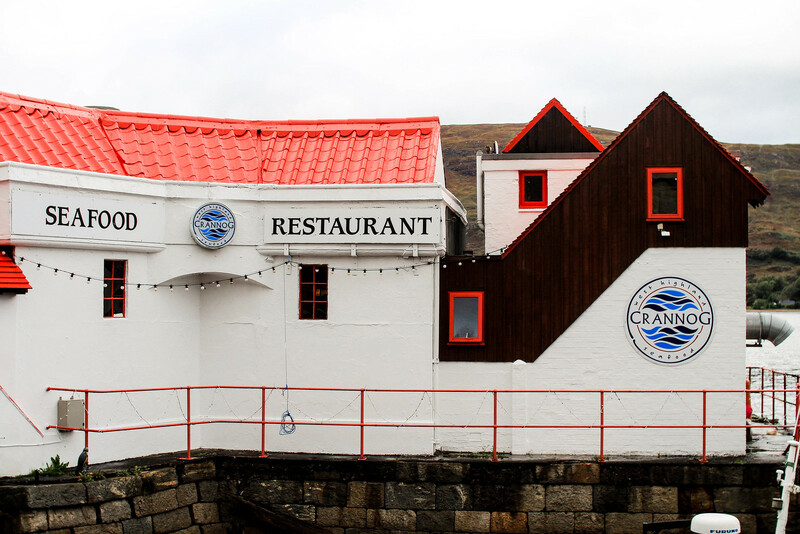 One of the best spots in town for Seafood is Crannog, you'll find it on the Town Pier, overlooking Loch Linnhe. 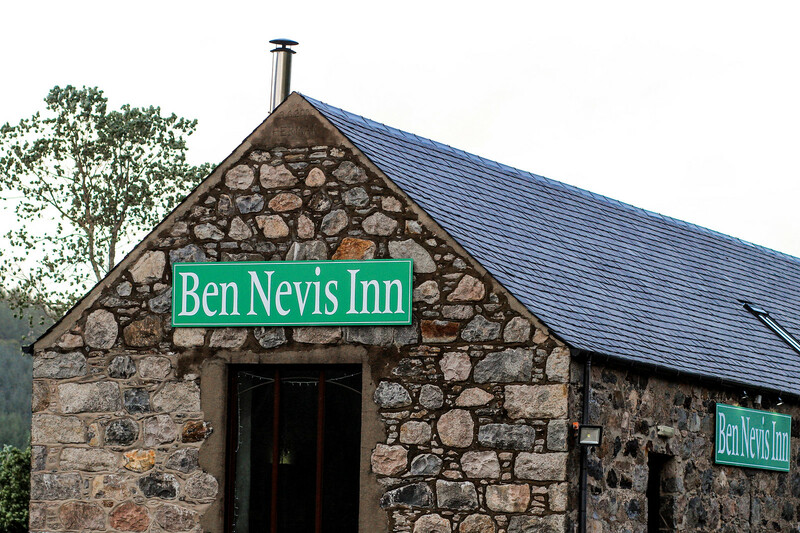 or if you're looking for a more traditional Scottish meal, head to the Ben Nevis Inn. Located slightly out of the way, at the base of the mountain, you can admire gorgeous views whilst you eat a comforting home cooked meal. Set on long communal tables you'll soon become friends with the locals, who knows where the night will take you!